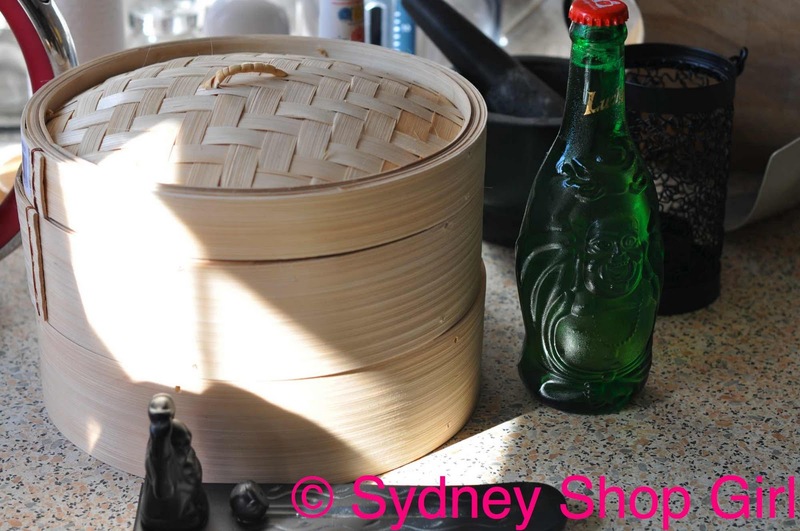 Sydney Shop Girl: Welcoming the Metal Rabbit. Happy Chinese New Year. Welcoming the Metal Rabbit. Happy Chinese New Year. Today marks the start of a Metal Rabbit year, according to the Chinese lunar calender. This is meant to be a year of peace and tranquility after the drama and high adventure of a Tiger year. I don't think mother nature or the laws of the universe got the message, though. Boats rammed against each other in the cyclone aftermath. Cyclone Yasi wreaked its havoc on northern Queensland overnight. To quote the Premier, it's the worst cyclone to hit the country and people were implored to concentrate on getting humans out of the path of the storms and not waste time packing belongings. Local shopping centres being used as refuges filled up early and people had to be turned away. Up to 90% of banana crops have been ruined and around 50% of the region's sugar cane has gone. On top of the ruin and on top of the decimation of other regions of Queensland from the flood. I hope this means that we're getting all the drama for the year out of the way in the first few months and that peace and good fortune can only follow from now on. Meanwhile, in Sydney, the heat wave continues. Thanks to a strict twice a day watering schedule, the peace lilies are thriving. Droop from dehydration is nowhere to be seen amongst the green residents of The She Shed. This time of the year is an interesting one for fashion. The stores are full of the start of the autumn/winter offerings and usually the mornings, at least, are cool enough to make you start thinking about long sleeves and tights. Not this year. The Country Road spend and save is a good idea in theory but it's way too hot to be thinking winter fashion. I do like that beige flared trench coat/cape which Mr SSG likes to call a $350 Snuggie. Tastes best with a pink straw and a large spoon to scoop up the coconut flesh. One thing that is perfect for this time of the year is frozen young coconut juice. Each sachet is less than $2 at Asian grocers and they are very addictive. I'm never patient enough to let enough of the ice melt so I usually end up trying to speed up the melting process by adding room temperature water to the glass. 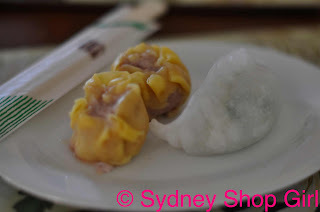 Restaurant grade dim sum from our local and legendary Chinese grocer. Chinese New Year is usually a great reason for a large meal with the extended family. This year, Mr SSG and I celebrated on the quiet, with just the two of us. We decided on having some dim sum and noodles at home. I found a shiny new bamboo steamer and Mr SSG found Lucky brand beer at the shops today. The Lucky bottle is shaped like a fat buddha. Very kitsch. I couldn't resist rubbing the belly of the bottle. Traditionally, lettuce or cabbage leaves are used to line the steamer baskets. I had to improvise with baking paper circles. Yes, those dim sums really do come from a Chinese grocer and not from the kitchen of a restaurant. 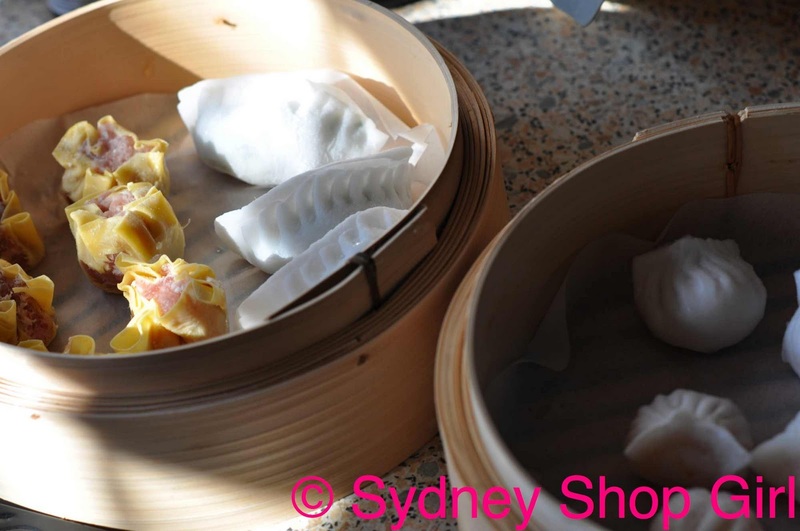 Though, legend has it that in Sydney, many of the big dim sum palaces are supplied by a few key manufacturers from the west. Noodles are a symbol of longevity and we usually have some sort of noodles for birthdays and CNY. This year we called Mr SSG's dad for his recipe for Beggar's Noodles. 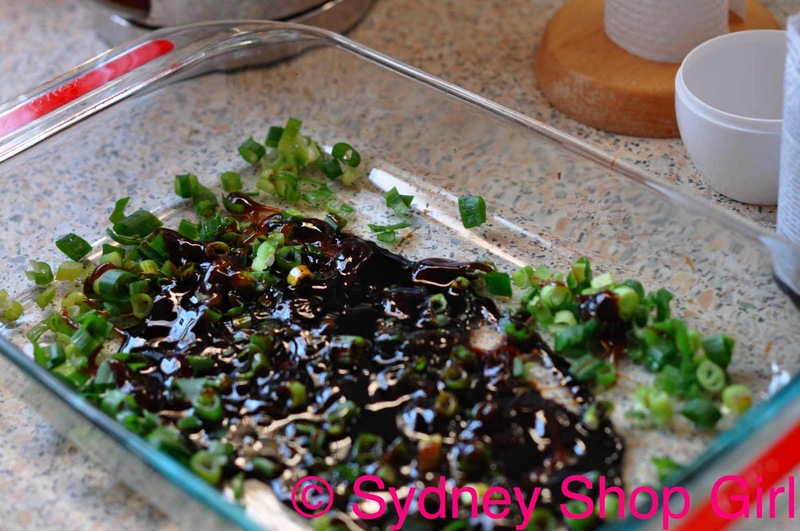 Which are egg noodles simply boiled and tossed in a black sauce and topped with blanched Chinese vegies. Apparently there is also a Hawaiian version of this dish that surprisingly, does not involve pineapple. The things you learn with Google. The goodness of Chinatown minus the trolleys and Hong Kong glam restaurant decor. Well, those dim sums are the bomb. 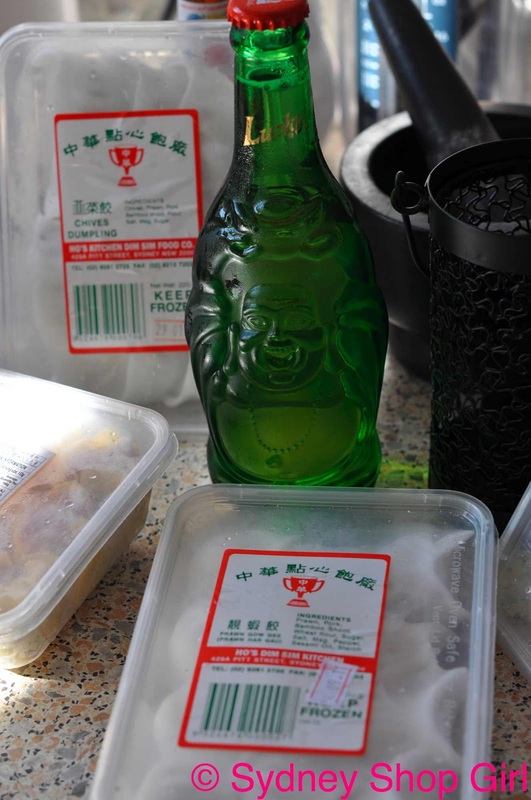 It's like having Chinatown in your freezer. I'm glad I used my bamboo steamer. There are some things a microwave can't do. Gung Hei Fat Choy Mr and Mrs SSG! Wishing you all the best for the year of the Rabbit! Happy Chinese New Year!!! That coconut drink sounds very interesting. Might head to local Asian grocer tomorrow ... does it taste good with vodka in it? Happy Chinese New Year Mr & Mrs SSG! Wishing you both many wonderful moments. My son is in Shanghai experiencing the New Year with a friends relatives and I'm just so excited for him to have this experience. Some time ago you cooked a chicken curry using Ayam Malaysian Curry Paste, and tonight I followed in your culinary footsteps. Result - absolutely delicious! Thanks! I love the lucky beer bottle. I am so glad that so far it looks like the cyclone has only damaged stuff and not people. Still pretty hard if it is your stuff though... My heart goes out to everyone affected. Happy Chinese New Year SSG...the food looks yummy! last night the news said that there were no casualties...I hope they are correct....as to the squashed homes and crops...that's terrible. 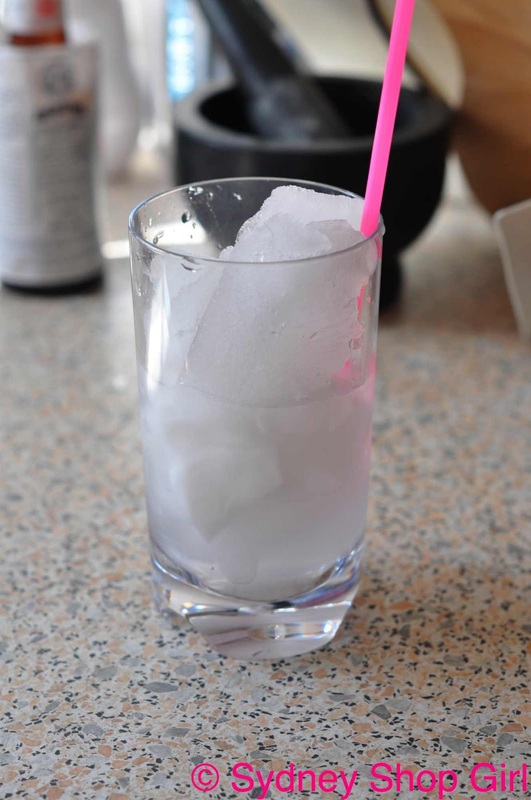 Leanne: the packet doesn't strictly mention vodka as a mixer but vodka is extremely versatile. So, I say, give it a go!! Kate: so glad the curry paste worked for you too. Hostess: it is so surreal looking at the images. On the up side, there have been a few miracle babies already who were born safely in the midst of the stormy aftermath. They are keeping the country's spirits up. 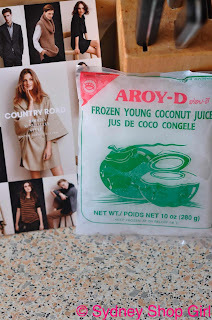 I love coconut juice, and after aving read this post I am determined to go and find myself some of that frozen young coconut juice. It sounds like the perfect chilled drink for this kind of weather!!! Aroy-D!! Oh yeah, childhood memories!! !